Farm Bill Wildlife Biologists are available to work one-on-one with landowners in Nebraska to help them enroll in conservation programs. 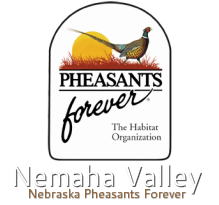 These positions are part of a unique partnership with Pheasants Forever, the Nebraska Game & Parks Commission and the Natural Resources Conservation Service. These positions are part of a unique partnership with Pheasants Forever and the Nebraska Game & Parks Commission where they focus their efforts in unique landscapes across state. Their work is designed to improve wildlife habitat and improve local partnerships.